Do your physiotherapy exercises every day. When in bed keep your knee straight. Do not put any pillows under the knee. These can be put under the calf to release the pressure on your heel. Keep your knee bent when sitting. Elevate the leg if it is very swollen. Use a walking stick as needed. Find a sleeping position that is comfortable. There are no restrictions here. Don’t kneel on your operated knee. Your wound usually requires very little care. The wound is usually closed with and absorbable suture and ”glue” is applied on top of it to make it waterproof and to assist healing. The dressing will be changed before discharge and you must keep the wound dry until is healed. This usually takes 2-3 weeks. You can have hydrotherapy before the wound is fully healed however is extremely important that the wound is fully sealed and there is no contact with the water. Swelling in the knee, leg, foot and ankle is common after a total knee replacement. It can be present for quite a few months after your surgery. Also, because of your metal implant the joint will feel warmer than a native joint. The preferred pain medication after your discharge is Panadol or Panadeine combined with an anti-inflammatory unless there is a contraindication for the latter. If stronger medications are required you will need to see your GP as these may need to be closely monitored and adjusted. 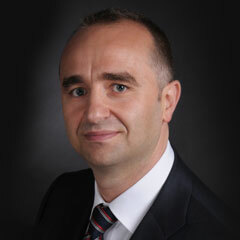 Dr. Razvan Stoita uses the guidelines provided by the Arthroplasty Society of Australia with respect to DVT prophylaxis. Click here to read more about these guidelines. Please ask Dr. Stoita if you have any questions or require clarifications. The Arthroplasty Society of Australia recommends that you abstain from driving for a period of at least 6 weeks after surgery. You can read more about this here or visit us at our clinic in Sydney where you will be offered more information on the subject. It is best to avoid long flights for at least 12 weeks after your surgery because of the risk of developing deep vein thrombosis. If you must fly before then speak to your GP or to Dr. Stoita prior to flying. Because of your metallic joint implant you must pay particular attention to infections in your body as these may cause an infection in your replaced joint. These infections must be treated immediately. Special attention needs to be given to teeth infections and dental treatment. The Arthroplasty Society of Australia has clear recommendations for patients with hip and knee replacement that require dental treatment. You can find a copy of these here. Please print it and take it to your dentist.